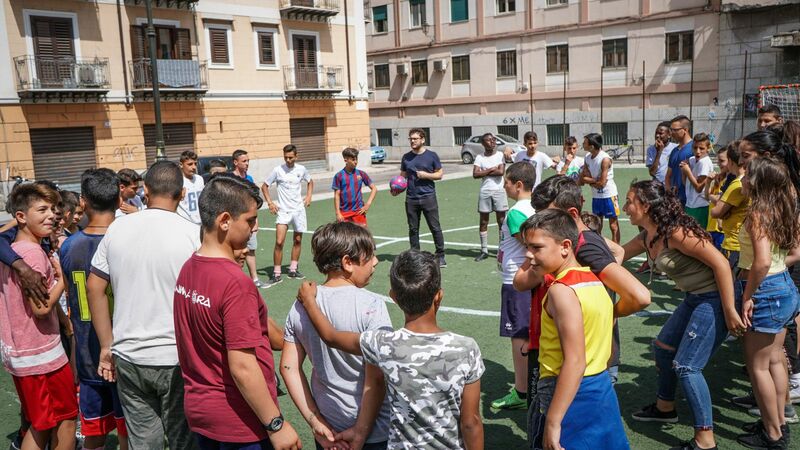 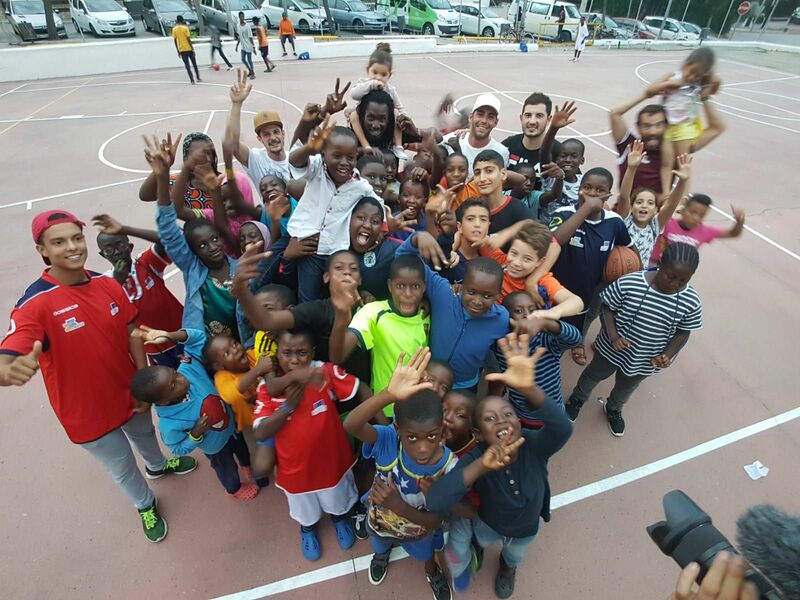 We believe that sport can break down social barriers, facilitating mutual dialogue between different social actors, especially among young people. 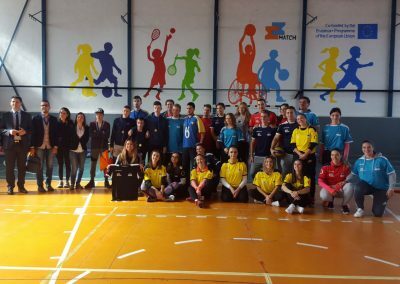 to promote volunteering and social solidarity in Sport. 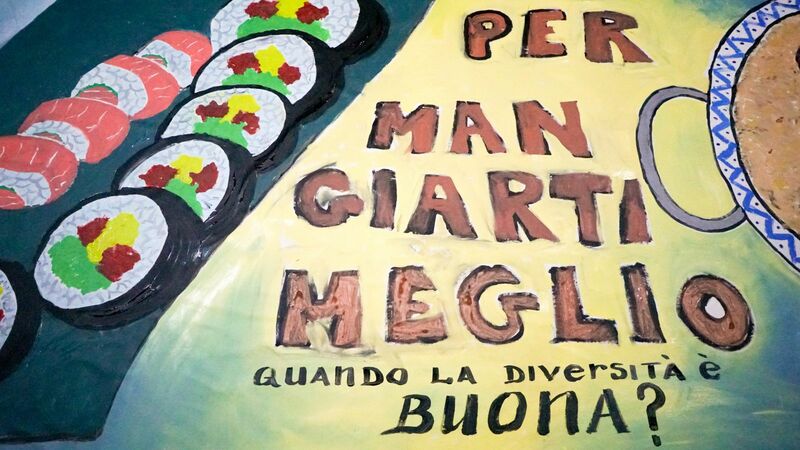 At the end of each festival, we developed a video collecting all the experiences from each partner! Please have a look here! 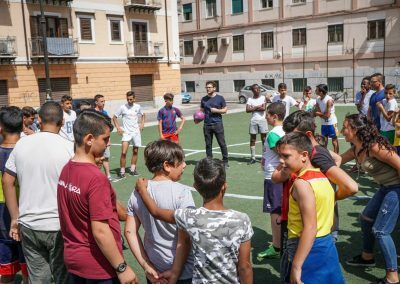 a Football tournament and award ceremony: MATCH final football tournament! 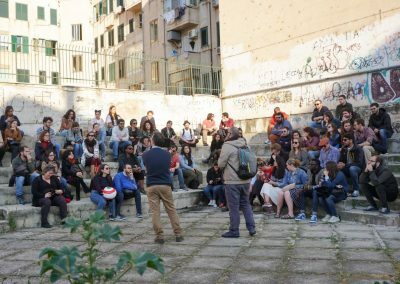 The Conference has been a great occasion to talk about the project topic and impact reached in all the partner countries. 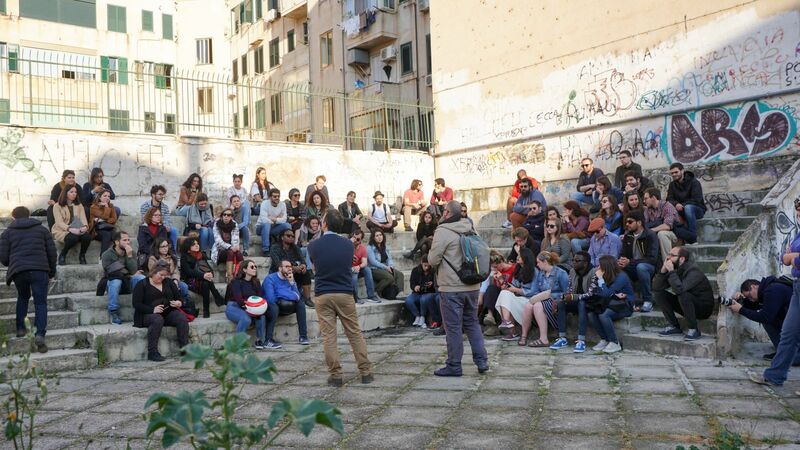 Moreover, project results have been shared, giving importance to Pedagogical Manual. 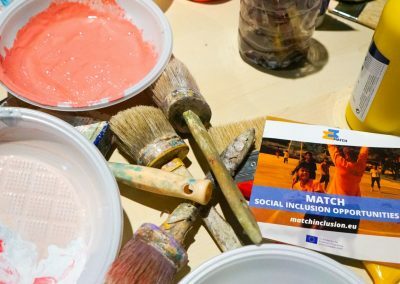 Download here the Manual in each partner country’s language! 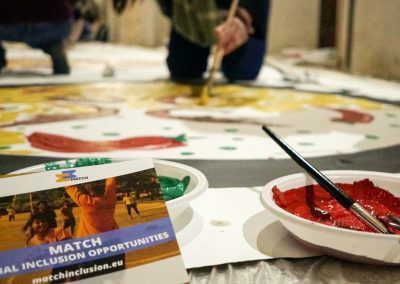 During the Conference it has been organized a Panel discussion based on Diversity & Inclusivity: Creative Citizens of Europe. 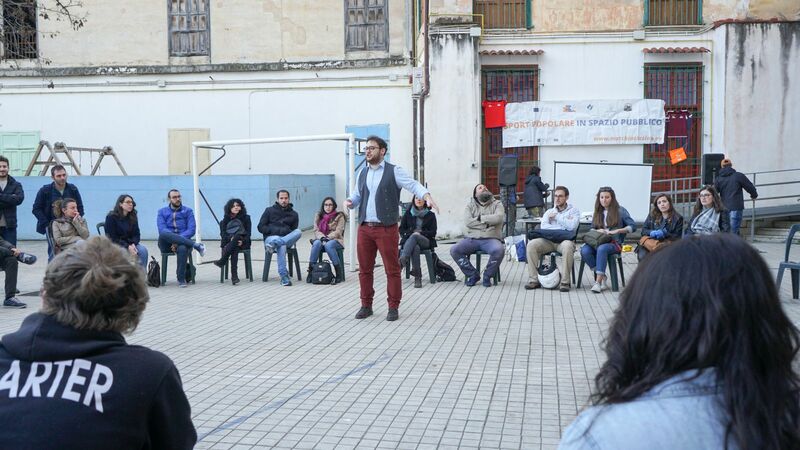 Jean-Didier Totow president of the Congolese community in Athens and vice-president of Greek Forum of Refugees. 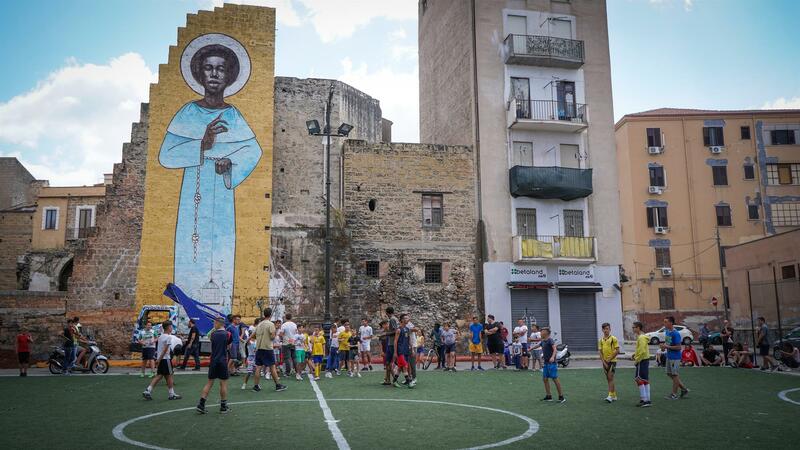 The second part of the Public Event has seen the participation of many people and football teams to the “MATCH final football tournament!”. 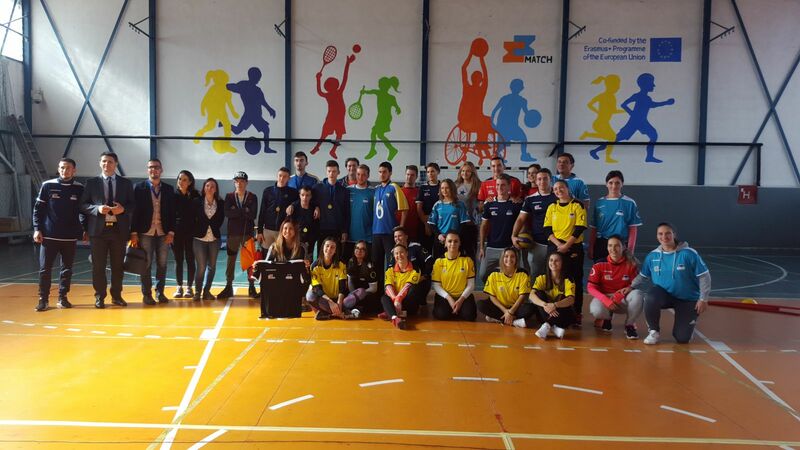 During this event also a team “born” in the MATCH framework and activities has participated. The team shared the values of inclusion, education and friendship. 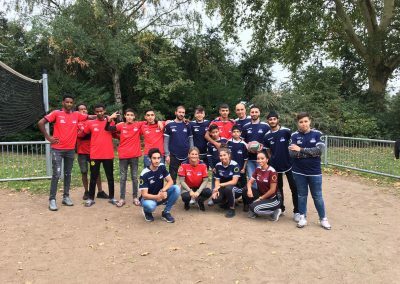 We truly believe that this is a great result achieved by the entire consortium and all the people and volunteers who have given support! 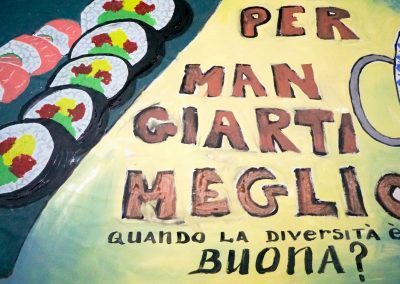 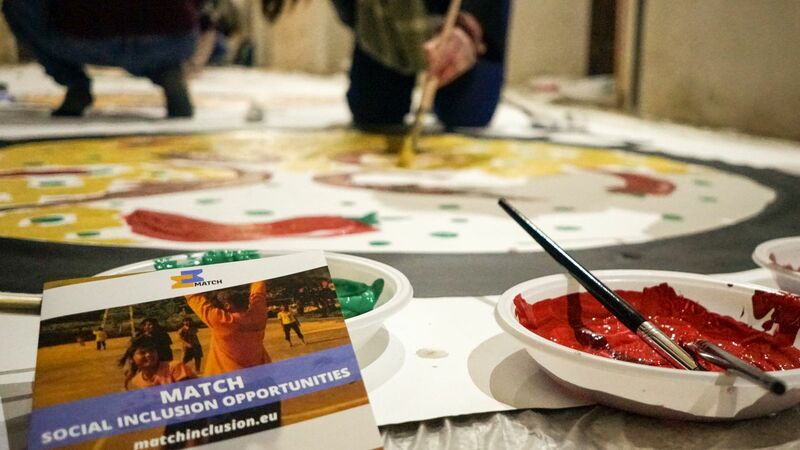 Furthermore, on March 23rd we organized the local event in Palermo called: MATCH for Ballarò: the art of inclusion. 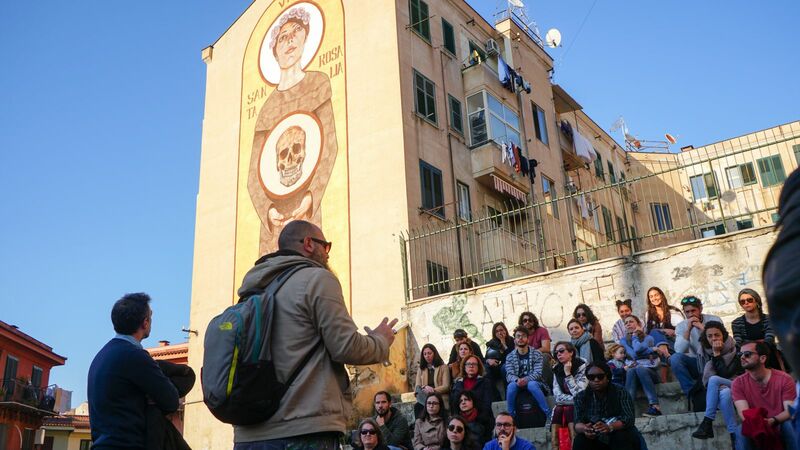 The event has begun with a tour of the Ballarò murals, starting from San Benedetto il Moro created by Igor Scalisi Palminteri within the frame of the project. 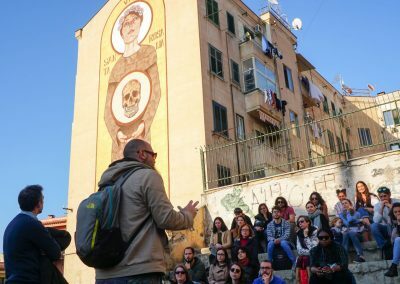 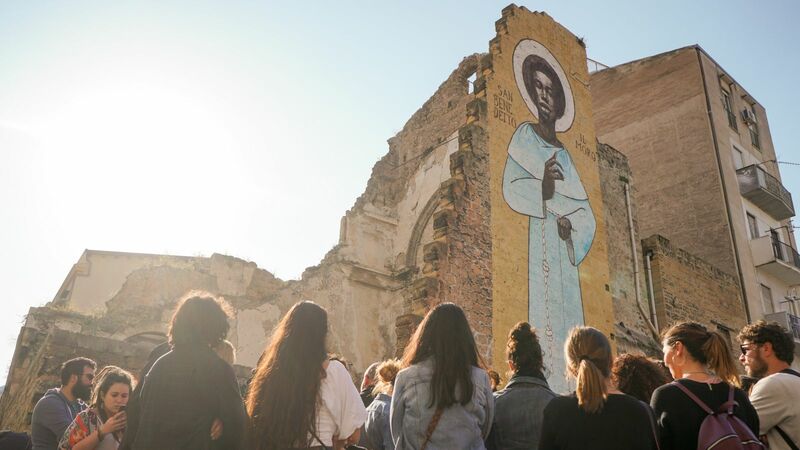 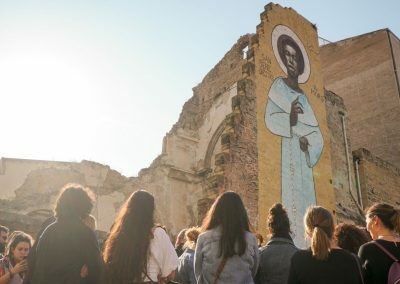 The tour of the murals was led by Terradamare | Cooperativa Turistica a Palermo through a walking tour to discover the urban paintings created in the historic district within the project “Postcards from Ballarò”. 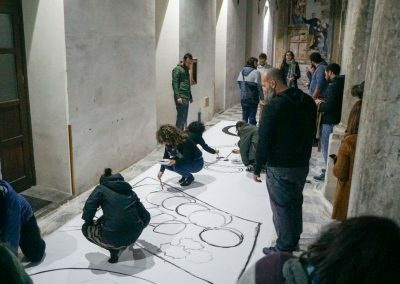 After the walking tour an artistic workshop was set up coordinated by Igor at Santa Chiara. 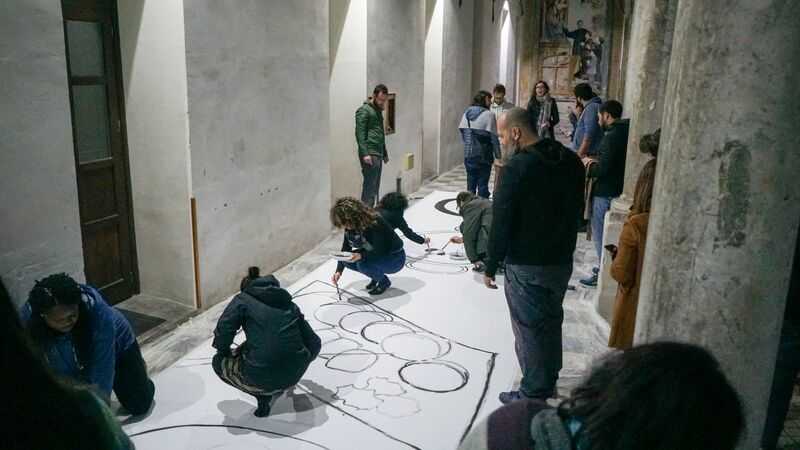 The laboratory had the purpose of creating a choral and participatory work by all and had as its theme the inclusion through art. 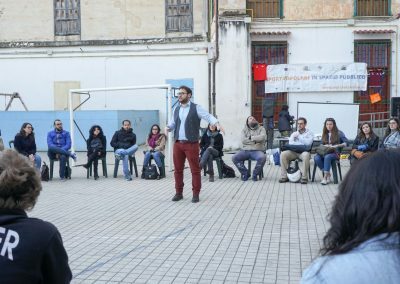 The event was attended by about 70 people and the results of the project were shared with all the participants in the event. 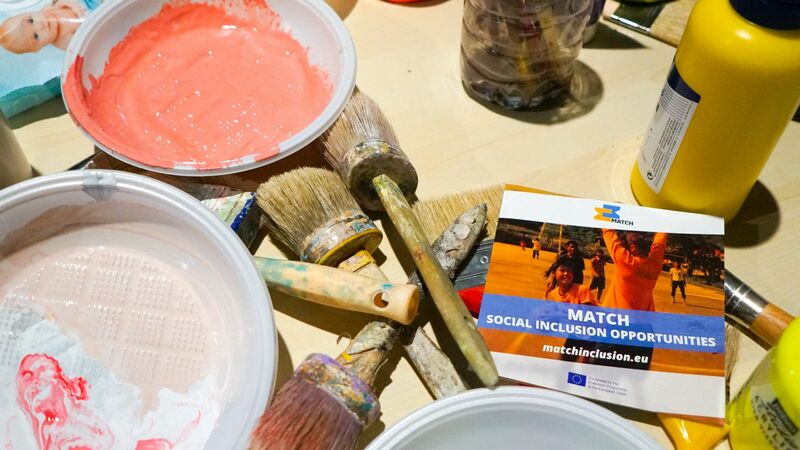 MATCH – Enhance social inclusion and equal opportunities is co-funded by the Erasmus + Programme, Collaborative Partnership in field of Sport and intends to foster an increased participation of refugees and local young people in sport activities and to create a constructive dialogue between different social groups.